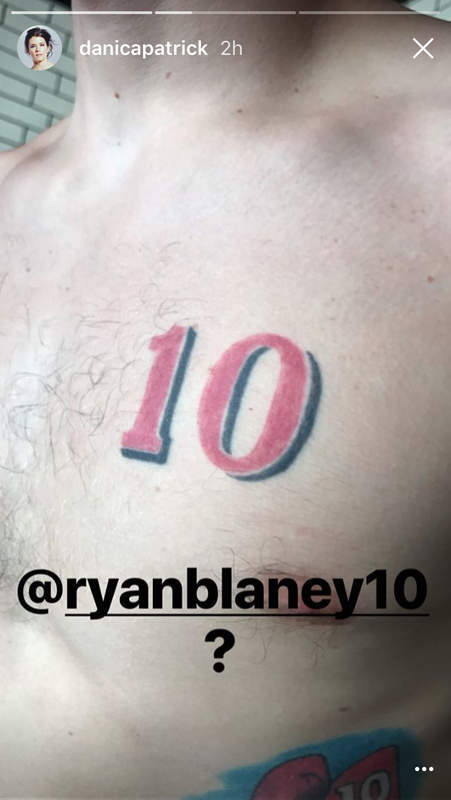 Did you notice the "10" tattoo on Ryan Blaney? Blaney has two tattoos that pay tribute to Lou Blaney, who won more than 600 races, primarily in sprint cars and modifieds. Blaney has his grandfather’s No. 10 on his chest and an image of his grandfather’s 1970 sprint car around his ribs. “He’s the one who really started the whole racing deal in the Blaney family,’’ Blaney said of his grandfather. “He got my dad (Dave) and uncle (Dale) in it and ultimately got me into racing.